Mélange Dance Company at Tri-PAC… NOW! Back from their tour of Poland, the Mélange Contemporary Dance Company returns to the Tri-County Performing Arts Center, 245 E. High Street, Pottstown for a weekend of superb music and dance. On stage for three shows only, November 5th through 7th, their performance features pieces performed at The International Dance Festival in Ladek Zdroj Poland, as well as new works. The dances are informed by experience – and their experiences during this year’s trip to Poland left some lasting impressions! Much like our recent weather, Poland experienced severe storms and flooding, and when Mélange arrived to perform at the International Festival they discovered that the stage had become unstable due to the wet ground. The entire festival had to be moved to the town square – a quaint, old part of the town, while pumps sent in from Russia worked to reclaim the original festival area. The town of Ladek Zdroj, Poland is one of the oldest spa towns in Europe. The old buildings survived untouched during WWII because the Germans utilized the spa treatments. It is said that Mozart’s wife Costanza used them too! During the dancers’ downtime they were able to relax and enjoy a swim in a naturally heated indoor pool of mineral water, time in a salt cave that helps sinuses and respiration, and a body de-tox. They were also given a class by a world class instructor from Warsaw. During the festival Mélange was a headlining group, and participated in a week of classes, performances, and lectures with dancers, teachers, critics, and students from around the globe. A local sculptor thought their program was the best one during the whole week and has since sent pictures he took to Michelle Jones-Wurtz, for whom he made a sculpture that he plans to present to the company next year. The company includes Founder and Artistic Director Michelle Jones Wurtz, Christa Campbell, Krista Grunklee ,Emily Horstmann Getchell, Jessica Jarvis, Jill Michalsky, Sara Pyfer, Jackie Kokolus, and Tija Ore. Their November performance at the Tri-PAC will showcase a diverse, energetic suite of dances. Tickets for all shows at the Tri-PAC are available online. Please note that seating is limited, and shows do fill quickly, so go to http://www.tripac.org to purchase your tickets now or call 610.970.1199! Tickets range from $13 for children 12 and under, $15 for students and seniors (65+), and $17 for adults. Discounts are available for groups of 10 or more. When available, tickets will be sold at the door. Remember, it’s all happening on High Street! Village Productions is a dynamic nonprofit performing arts organization that seeks to strengthen community, inspire creative exploration, educate, and entertain, through the presentation of quality performing arts events and educational opportunities geared toward a diverse audience. 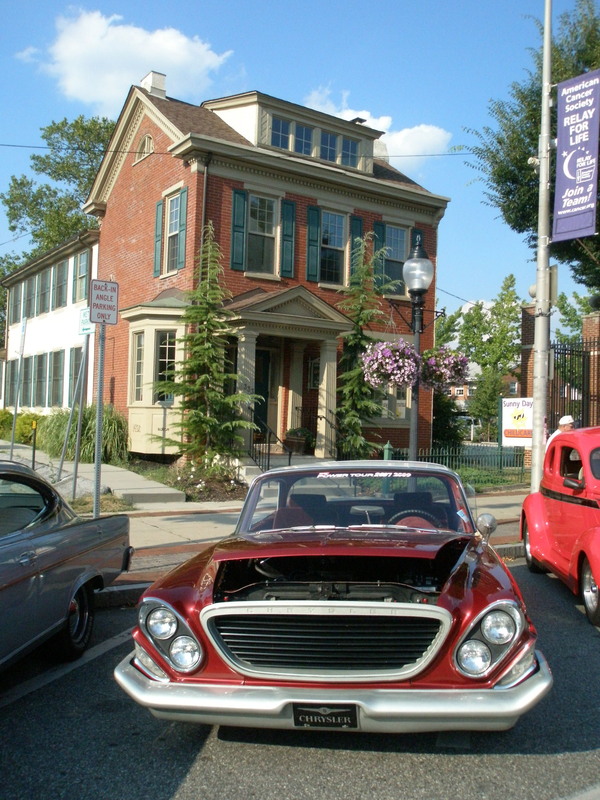 The new Tri-County Performing Arts Center at 245 E. High Street, Pottstown, PA is the home of Village Productions. You may contact Village Productions through their website at http://www.tripac.org, or by telephone at 610-970-1199.